The thing is, W.C. Fields never said ‘Never live with children and animals’ did he? Now that would be some mean feat. In between times, whether it’s when we’re on the train, waiting for a bus, on a lunch break or while watching TV, we spend time online LIKING photos of cute animals and babies on Facebook. You know it! We love cuteness overload in Facebook land! And they’re all complete strangers! But what if we captured our own kids and pets being cute on camera? 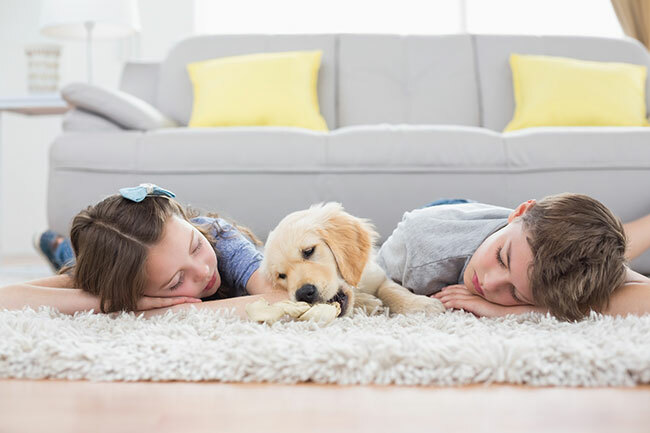 We could then print them on canvas, hang them in a fun spot in the house and enjoy that same cuteness any time of the day or night. Cuteness overload at home! Beanie babies are the best. Beanie babies are the hallmark of Hallmark cards and were made famous by Anne Geddes. Beanies can also be cool as alternative Australian band Cat Empire pointed out in their cute song ‘Beanie’. But you don’t have to be Geddes to create your own gorgeous prints and you don’t have to borrow someone else’s kids to achieve ultimate cuteness. 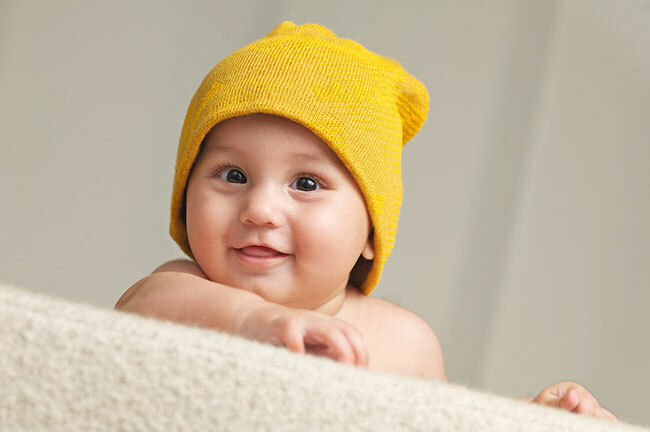 Place a beanie on your naked baby’s sleeping head and they’ll suddenly transform into the cutest thing you ever did see. It’s time to take our your iPhone or, preferably, your DSLR camera and capture a pose. Take the photo from all different angles. Go crazy creative. Make sure the background is simple. Move away milk bottles, dummies, blankets and make the surrounds nice and neat. 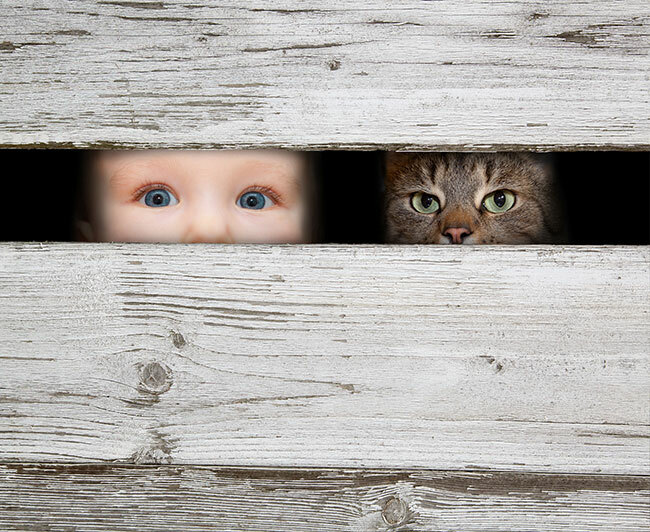 If your baby is awake, experiment with different locations around the house or garden. If your baby is small and patient, channel some Geddes and place your baby in a (carefully lined) basket, a (carefully cleaned) bucket or a (ant-free) log. 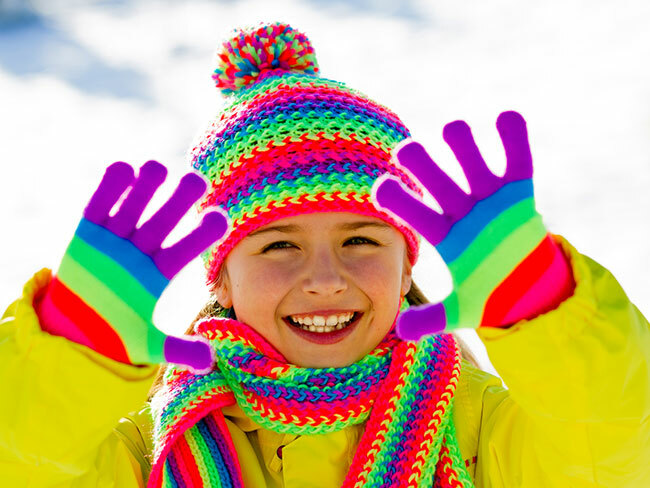 If you have an older child, when Winter comes around, be sure to capture the cute outfit on camera. Get your child to pose outdoors in a natural setting with rosy red cheeks and a big smile. Adorable. Capture your child sitting cross legged on the snow building a snowman. This is a winner of cute for all ages. 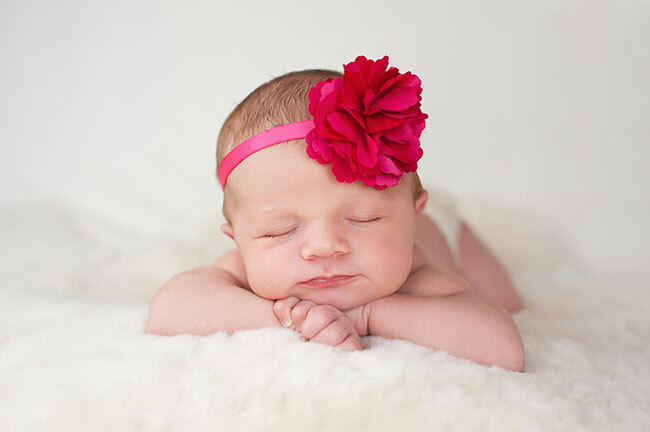 While flowers do not have to be the sole domain of girls, it’s always the girl babies we’re tempted to dress up with a big beautiful flower as it transforms them into all sorts of cute. As the kids get older, don’t be afraid to mix it up a bit. 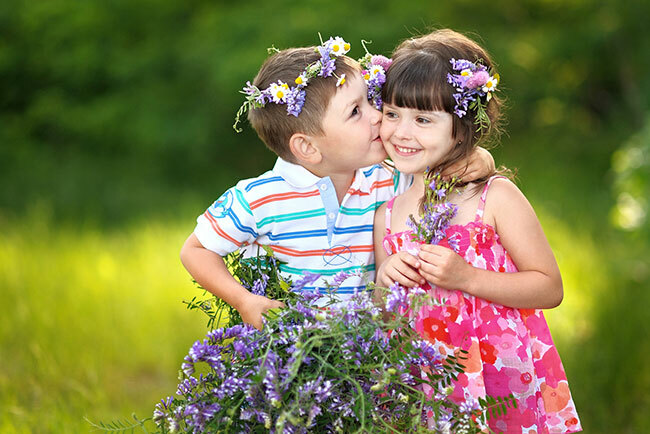 A boy and a girl playing with flowers in the garden is a recipe for cuteness, so whether it’s siblings or friends, a lot of fun is to be had by all playing dress ups in the garden with Mother Nature for inspiration. The first step here is to teach your child to blow bubbles! This take practice, but once they’ve got the hang of it there’s no stopping them. 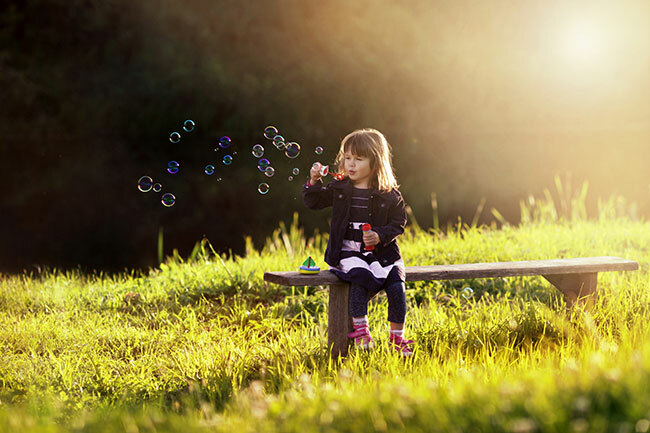 A shot from a distance of your child blowing bubbles can add mood and movement to an otherwise still scene. 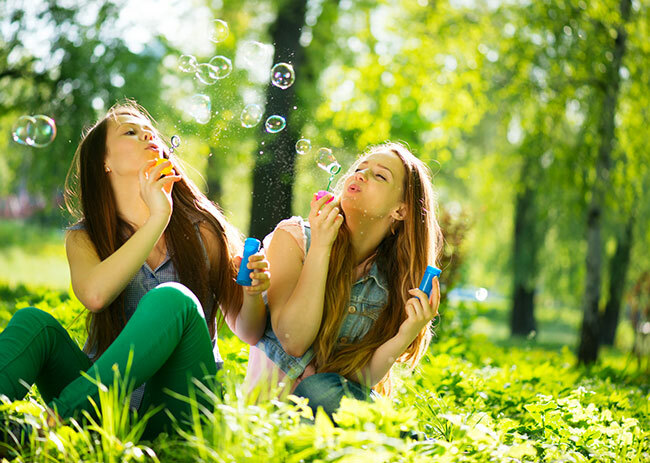 Kids blowing bubbles together can convey the joy and fun of being together as siblings. The act of blowing bubbles on camera is also perfect for teenage kids when you’re wanting them to pose for some cute rather than some attitude. Everyone loves bubbles! You know your own animals the best, so of course the decision to include your pets and your children in photos together is a judgement call only you can make. It’s important to consider safety and comfort and practicality. 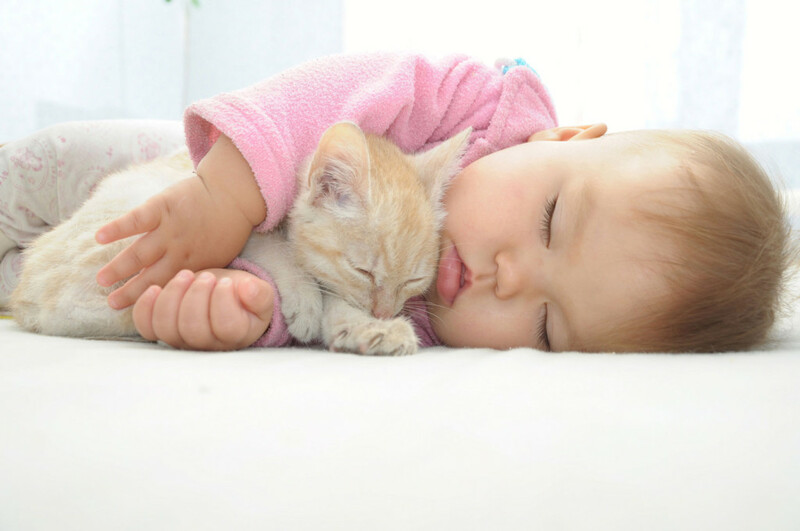 If you’re OK with proceeding, the trick is to ensure your kitten or cat is well and truly full and content with food and ready for some serious sleeping and cuddling. You’re probably dreaming if you think you’re going to get something as slick and styled as this, below, so if you’re after something similarly clever you may need the help of Photoshop. But that’s up there in the art category and, for home photography, it’s much more meaningful for everyone involved to add some warmth. 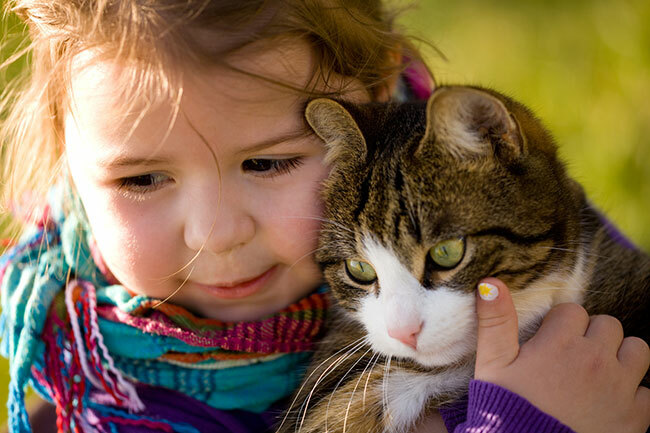 Simply have your child pick up your cat like they usually do and give them a big cuddle. You know the cuddle. The one the cat patiently puts up with, although you can’t fathom how they manage. Cats seem to know they have to sacrifice their independence when kids are around. It’s like a ‘OK then. Just for you!’. Puppies on a full stomach and due for a snooze are amazing. The rest of the time they’re absolutely mad, so capturing this cute snap is all in the timing. Unless you’re brave, it’s very rare to have a puppy and a baby in the same house at the same time. However, if it does happen or if you are visiting a friend or relative with a puppy (or a baby for that matter! ), be sure to take the opportunity to take some happy snaps. Puppies (as opposed to adult dogs) are pretty cool about interrupting their feeding time. Follow child and puppy around for a while. They’ll get up to all sorts of mischief together that’s worth photographing. 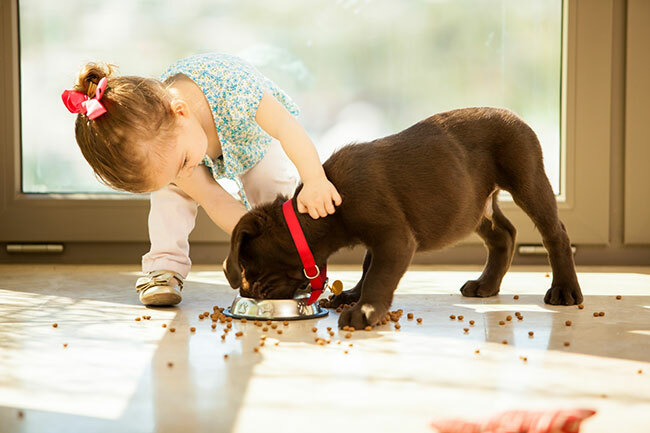 Older dogs are cooler, calmer and easier to manage – as are older kids. Get them to pose for a photo or catch them at a vulnerable moment during play (or rest as the case may be). Once you’ve put together your collection of babies or kids with beanies, flowers, bubbles, kittens and puppies, it’s time to create a canvas wall display or canvas collage. Cuteness overload on your own walls in your own home. LIKE!